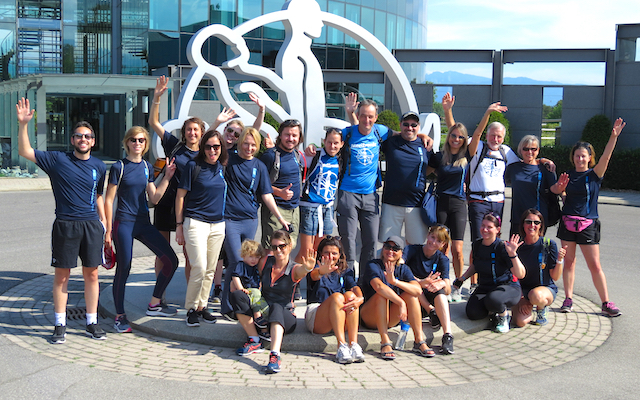 The European Parkinson’s Disease Association (EPDA) is looking for people around the world to join its fundraising challenge that will help the organisation improve the lives of people with Parkinson’s and their families. 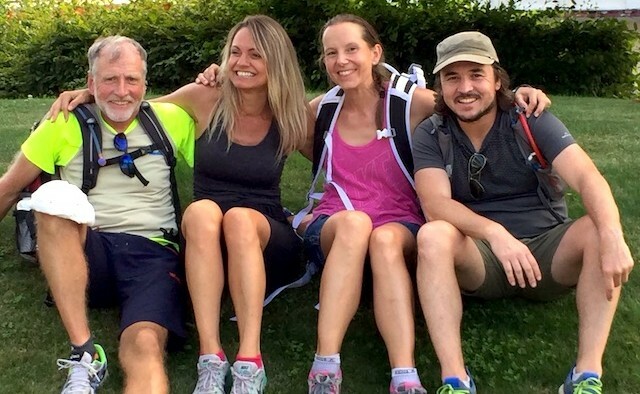 Whether you’d like to get a team of colleagues together, persuade your family and friends to join in or want to tick off a challenge from your bucket list, joining The Parky Challenge is easy. Simply choose a challenge that excites you – and complete it anywhere and at any time! To learn more, click here. How did you get involved with The Parky Challenge? It was a combination of things. For a while I’d had a bit of a bucket list idea to try and walk for 24 hours, and I was also interested in doing some volunteering, so taking on The Parky Challenge made sense. To be honest, everyone at work thought I was mad – it was more or less just ‘Clint’s crazy idea’ at first – but when they saw how serious I was, they were really supportive. Why did you want to fundraise for Parkinson’s? I fundamentally consider myself as someone who is quite fortunate. I’ve not only seen a lot of things because I’ve travelled, but I’m also a very healthy 41-year old. Because I don’t have any health problems, I felt like I should be doing something to help others. I saw raising money through The Parky Challenge as the least I could do – as opposed to the most. It’s a small way that I can play my part. No, I don’t usually train that much for the walks, I just do it and see how I get on. I use this as my sort of yearly challenge. I’ve been ramping up my step count to 10,000 a day over the last three months and eating a lot more, but I don’t do six-hour hikes or anything like that. Can you talk us through the challenge? The night shift consisted of us walking along a lake near our office, which is a nice flat walk with no real disturbances and by the morning we had a new round of volunteers joining us. It was great having new people come in to support us and help us get through it – it really helped us over the line. Yes, I did. There are usually three main areas of difficulty – the head, the legs and the feet. This year, for me, it was my feet that took the pain. My mental state and my legs were fine, but I had terrible blisters, and after 16 hours I started to find it really difficult. It was around 80-85 kilometres. It’s interesting that after the first year, I was just focused on beating my previous record. This year, however, it was less about the kilometres, and more about the social interaction – which I think is really important. How rewarding did it feel at the end? Did you find it a more difficult challenge mentally in previous years? Yes. The first year I basically did it by myself, so I was alone for 18 hours in the middle of nowhere – that’s when it got really tough. The second year was also challenging because it rained for about eight hours. So, the last two walks have been a lot easier! Do you plan to do it next year? I always say no, and then I always do it anyway! I’m hoping that a couple of people from this year do it again too. We want to make it bigger and more inclusive – I’d love to see it become an annual community event.